A few months ago we tested the Volvo V40 engine with 150 hp D3 [ View Volvo V40 D3 test ] and were surprised at how amazing it was the unknown Swedish hatchback. This week we will have as a guest at our testing to a more rural variant of the V40, a model result of the demand for vehicles with an aspect “off – road” , this is the Volvo V40 Cross Country . If some months ago we talked about the change in the subject of nomenclatures and the name under which the Swedish brand has christened its new model, the model name today tried not surprising at all since outfit known XC with which Volvo calls its more SUV models [ View Volvo XC60 test ] . 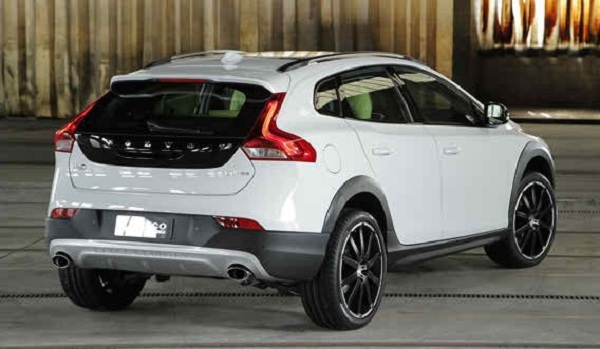 The Volvo V40 Cross Country is part of a market that has experienced strong demand in recent years . This lawsuit focuses on models with a more versatile aesthetic with which we won some mm ground clearance (145 mm) and with which supposedly can get away a little from the road. Unfortunately, we could not get us very steep roads by as our model did not ride a profile tire highly recommended for rural activities . The Volvo V40 Cross Country has a really attractive front where Volvo designers delight us with certain features of S60 extracted among others, the classic bonnet V – shaped ends on the front grille that surprises us with its low height and width imposing . Compared to conventional V40, his brother field has a front bumper that has a bottom in black color and gives a more rugged look. At both ends of the bottom in contrast we find a renewed daylight LED headlamps shaped like boomerang, very different from the V40. Our test unit had a set of optional exterior styling that gives the exterior design of the XC40 SUV a look thanks to a protector lower front, side sills and rear diffuser protector. Optionally, the front grille find the proximity radar that came equipped with our test unit . So also optional, we find embedded in the front of the parking assist and Bi-xenon headlights with headlight washers directional. The front design flowing fins which incorporate and pronounced wheel arches that house the various optional tires with which we can equip the vehicle. Our unit mounted an amazing alloy wheels 19 “gloss black 6-spoke design that equipped Continental ContiSportContact tires 225/40 R19 in size. The side of the vehicle is fluid as other Volvo models, starting with the inclined windscreen and ending in the wing which will be discussed later. In it, they are integrated generous mirrors with integrated LED. As standard, the vehicle is equipped with mirrors electrically adjustable and heatable function. Optionally found the system of electric dejection . Our unit mounted the mirror housings in shiny black and gave a touch of contrast to the side of the vehicle. As I had mentioned before, the side sills are part of an optional package style. Without this package, the bottom side would have a black area contrast. The side windows are framed with a molding in bright and stylish black roof ends in a spoiler that improves aerodynamics. La, although new, rear reminiscent of other models of the Swedish brand. 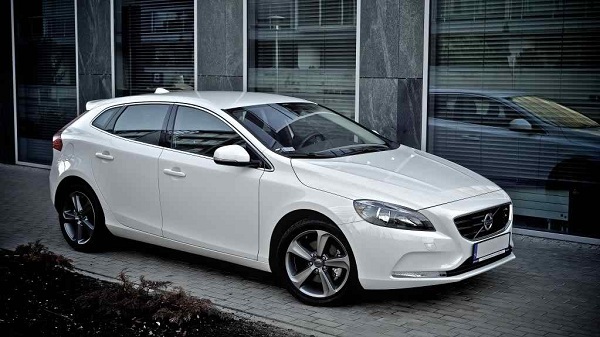 A muscular poise and a tailgate which dominates the glass make the model reminds us of the C30 . On the other hand, the headlamps are stylized but these lines are already well known in the brand. 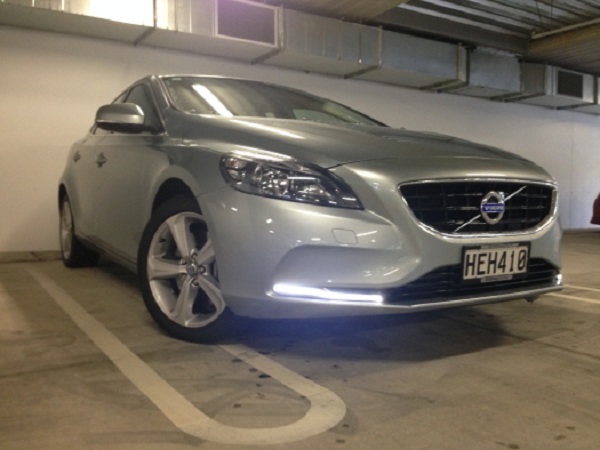 In the test of the V40 we told you that we did not like the position of the lights. In the case of Cross Country they seem to be a little more protected by incorporating a slightly more robust bumper which has an intermediate band in contrasting color. The vision offered by the model in the back is very small and therefore advise, equipped with parking assist . Finally, the rear dies in an air diffuser in body color that frames the two outputs of rectangular exhaust that give it a really sporty . The diffuser, or rather, under the diffuser now incorporates an engraving in which we can read Cross Country. Seen from above, the model equipped with the unique “shark fin” riding the newer models. This antenna module integrates GPS reception and Radio System. Optionally, the roof may be composed of a darkened surface not practicable but large glazed . If we opt for the sunroof, we know that it carries an electrically operated curtain to prevent excess light can be uncomfortable inside. Our test unit mounted metal bars in the ceiling finish. 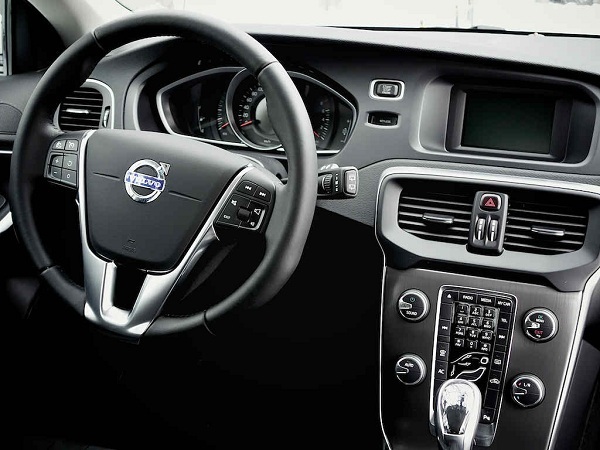 With a modern interior and finishes of very high quality , the V40 is no slouch in the premium segment, it is more, we can perhaps say that is one step ahead in terms of man-machine interface refers. If we sit in the driver’s seat, we draws attention to comfort and ergonomics . The control elements are very clear, starting with the thick leather steering wheel with metallic finish and integrated control elements. In the same we find the adaptive control system Cruise, a real treat for the possibility that brings us when selecting the distance from the vehicle that precedes us . I have to say that the system gives us additional safety since it detects obstacles in the road and slows us. People who look like a really intrusive system (which I find), I have to say that the brand has introduced a system limiting speed off in part the radar (of which I spoke earlier) and leaves us freedom in approach to other vehicles that precede us without interfering with the speed. If the system provides for an imminent collision, it activates a (first faint orange and then red and very strong) light signal is projected on the windshield. If not we activate the brake, the system emits a series of beeps and finally applies the brake to mitigate the collision. For more visit http://thewholeweek.com/.